ECAST ( Expert and Citizens Assessment of Science and Technology network), in partnership with the Consortium for Science, Policy and Outcomes (CSPO) at Arizona State University, hosted the United States launch of the World Wide Views on Biodiversity project on Tuesday, June 5 at the Koshland Science Museum in Washington, D.C.
World Wide Views on Biodiversity is a distributed, collaborative and non-partisan 21st century approach that integrates citizen participation, deliberation, expertise and assessment into government policy making, management, research, development, informal education and dissemination at the national and international levels. World Wide Views project will invite groups of 100 ordinary citizens in the cities of Washington, Boston, Denver and Phoenix to join similar groups across the globe on September 15. Using the same agenda and approach at each site, the groups will learn about biodiversity issues and will discuss important policy choices. Policymakers will use this information when they gather the following month in India to discuss future measures for preserving biological diversity. World Wide Views Alliance is coordinated by the Danish Board of Technology, a non-profit and impartial parliamentary advisory board. 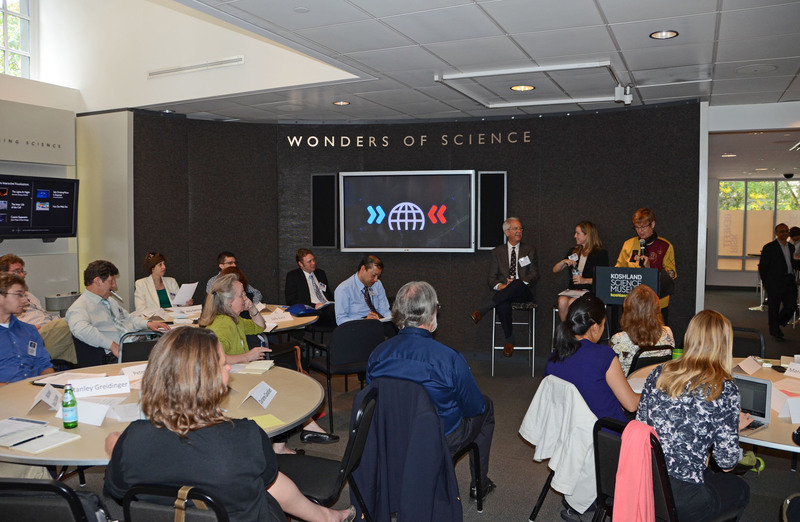 In addition to the ECAST organizers, the launch event featured presentations from Barbara DeRosa-Joynt of the US State Department, John Fitzgerald of Society for Conservation Biology, Carolyn Lukensmeyer of Americaspeaks and Naba Barkakati of the US Government Accountability Office. It included an introduction to the deliberation and dissemination aspects of the project and a live deliberation on national priority issues related to biodiversity. The event began at 11 a.m. and continued until 2 p.m. Lunch was provided. Kindly find a copy of the press release used to announce this event at the end of this post.